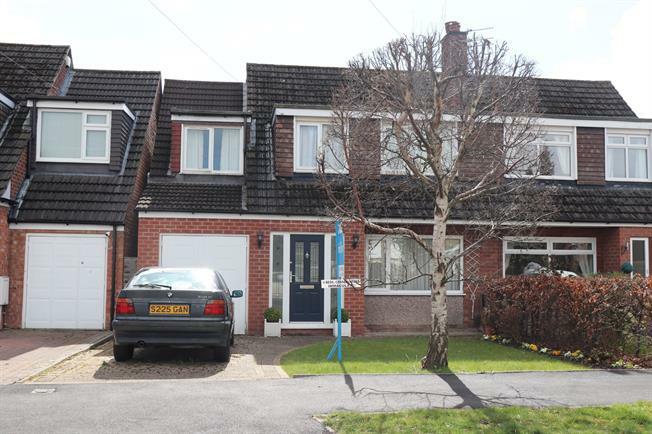 Semi Detached House For Sale in Stockport for Guide Price £315,000. A stunning family home offering the modern day family a real sociable living and entertaining space. With ample ground floor accommodation inclusive of living and dining room, large rear conservatory open with kitchen breakfast room, with underfloor heating. Upstairs there are four bedrooms, one with ensuite and then a main four piece family bathroom. There is a good size rear garden and driveway to the front.